Defenders of Western Sahara as a Moroccan territory, who were preparing to attend a peaceful sit-in in Madrid on Saturday, have been attacked by Polisario henchmen, just a week after a similar assault in Paris. The victims of the attack, most of whom from the Moroccan southern provinces, were heading to the sit-in in the Spanish capital when they were attacked by a wild horde of separatists. The sit-in was staged to denounce the abuses, crimes and disappearances committed in the Polisario-controlled Tindouf camps. According to eye witnesses, the president of the Association of persons reported missing while in the hands of the Polisario (APDP,) Dahi Aguai, was physically assaulted. 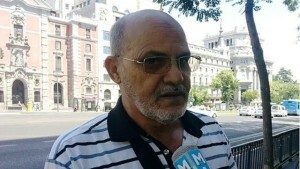 The attackers, remotely piloted from the Rabouni camp by the Algerian generals and the Polisario which suffered bitter setbacks at the diplomatic level, chanted slogans hostile to Morocco and insulted the Sahrawi activists come to Madrid to defend the Moroccan Sahara cause. On Friday, November 6, when Morocco was celebrating the 40th anniversary of the Green March, Moroccan expatriates who had rallied in Paris to commemorate the anniversary were cowardly attacked by pro-Polisario elements. It took the intervention of the French police to stop the cowardly physical assault. Such practices unveil the intimidation and provocation methods used by the Polisario to silence the voices opposed to its separatist thesis or daring to denounce in public the inhumane practices and crimes it commits against innocent people in the Tindouf camps. The Polisario henchmen are also instructed to stifle the momentum of support enjoyed by the Morocco-proposed autonomy plan for Western Sahara. The Polisario leaders, obviously enraged by the wide coverage of the recent visit of King Mohammed VI in Western Sahara and the important speech he delivered on November 6 in Laayoune, were left with no other choice than direct their attacks at the defenders of the Moroccan Sahara whether Moroccan or foreign.